The Mounted Police Professional Association of Canada is demanding that the Trudeau government do something about the deplorable state of the RCMP leadership in Canada. MPPAC represents thousands of RCMP constables across Canada, and their Association President, Louis-Philippe (LP) Theriault, is also a serving member of the RCMP in Moncton, New Brunswick. Theriault wrote to Justice Minister and Attorney General of Canada Jody Wilson-Raybould demanding action from the Trudeau Government, after Crown Prosecutors in Moncton called for the maximum fine of 1 million dollars against the RCMP Senior leadership for failing to do their duty to protect their officers and keep them out of harm’s way under Former Commissioner Bob Pauslon. 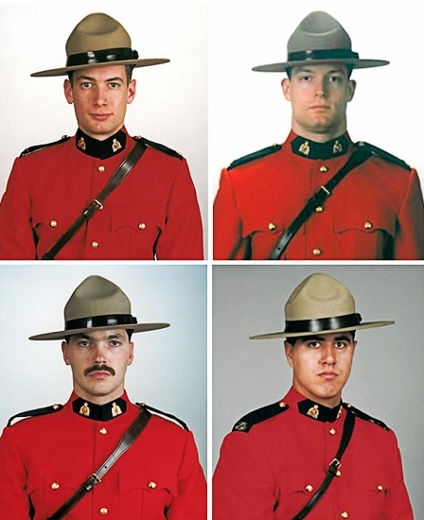 In a judgment released in September where the RCMP were on trial for labour code violations related to the tragic deaths of three RCMP constables on June 4, 2014, in Moncton New Brunswick, Judge Leslie found that despite recommendation that officers be equipped with new carbines (rifles) after the tragic deaths of four young Mounties by a deranged killer at Mayerthorpe, Alberta in 2007, nothing was done. Jackson said the patrol carbine program should have been in place and he also spoke to the lack of leadership by the Commissioner and other RCMP Brass saying that “a real concern for the health and safety of front-line members would have seen a rollout of the patrol carbine prioritized and not left to the vagrancies of available funding.” Judge Jackson accused the RCMP leadership of significant failings when he said they were unanimous in saying officers were adequately equipped. He also criticised them for sticking to “talking points designed to be the justification for their position” during testimony at the trial. MPPAC President Louis-Philippe Theriault said that “the most damning thing Judge Jackson said about the RCMP leadership conduct was that “their opinion is based on their observations made from the comfort and security of their offices; however the view of the responding officers who were facing imminent danger that day is different.” This shows just how detached the RCMP Brass is from frontline members, said Theriault. 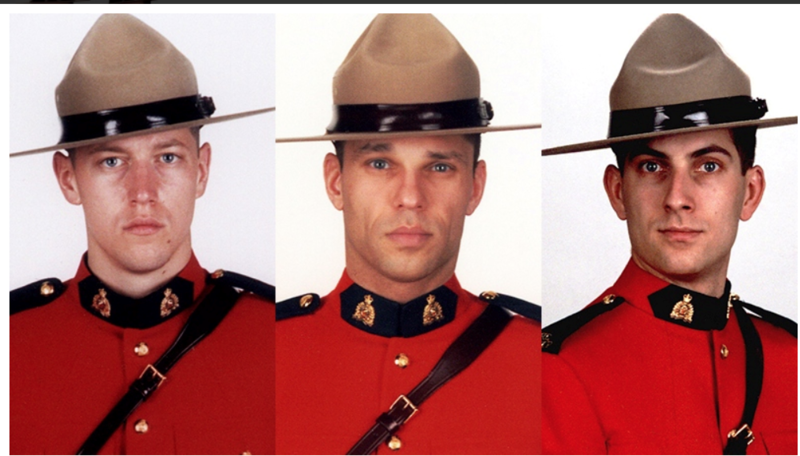 On November 30, 2017, at a sentencing hearing in Moncton, the Crown said the RCMP Leadership “took a chance” with officer safety when it didn’t equip its members with carbine rifles and should pay the maximum penalty of $1 million for the 2014 shooting deaths of three Moncton Mounties. “We now have 9 dead Mounties over the past decade all because of leadership incompetence”, said Theriault. Lives and families have been destroyed because of weak leadership and there is no accountability from anyone. After all this, even a one-million-dollar fine is not near enough to change things. Since the trial ended, the only comment we have gotten from the office of the Minister of Public Safety is that this decision “carries important implications and that the Trudeau government would be studying it carefully,” said Theriault. We don’t need studies from the Trudeau government or Mr. Goodale. “We need action now”, Theriault added. “It is time for accountability. It is time for independent and unbiased oversight of RCMP senior management”. In the MPPAC letter to Justice Minister Wilson-Raybould, Theriault points out that the ruling by Judge Jackson made it clear that the RCMP leadership is derelict in protecting the health and safety of members. Theriault says MPPAC is demanding answers from the government regarding why some important information related to the carbine program was suppressed until after the trial, and is also seeking clarity on whether or not the government will implement a civilian oversight regime for the RCMP. He said MPPAC has serious concerns about the selection committee members who will pick the next RCMP Commissioner. Theriault requests that the Minister of Justice answer the questions raised in the letter and work with MPPAC to repair the RCMP “before there is another tragedy”. Wait for the new conservative govt. Trdeau is too busy paying off terrorists. Rather than spending the budget for carbines and training, did any officer receive a “bonus”, since the 2007 tragedy in Mayerthorpe? Is no one accountable in senior management. Any bonuses paid should be donated to charity, to be given to the widows of the victims of the tragedy in Mayerthorpe. Ralph Goodale should not be in charge of anything in my opinion.